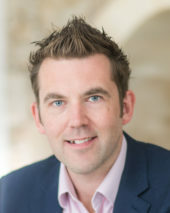 DKA have a long-standing relationship with Ricardo UK who are a global engineering consultancy. 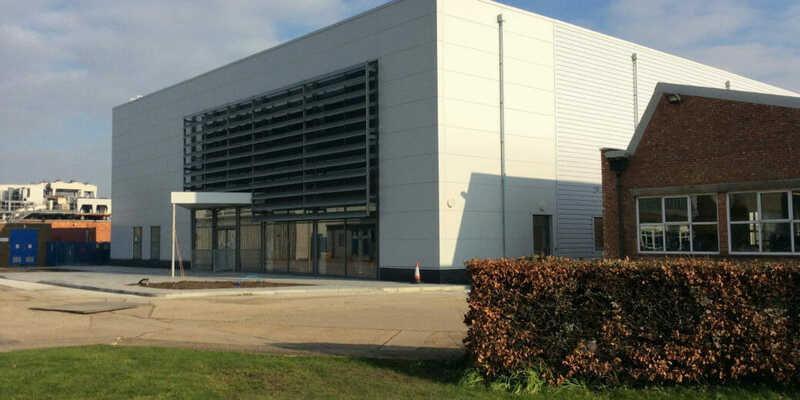 The Shoreham Technical Centre is their UK headquarters and DKA have delivered a number of facilities at Shoreham following an initial feasibility review to look at development opportunities and constraints across the site. 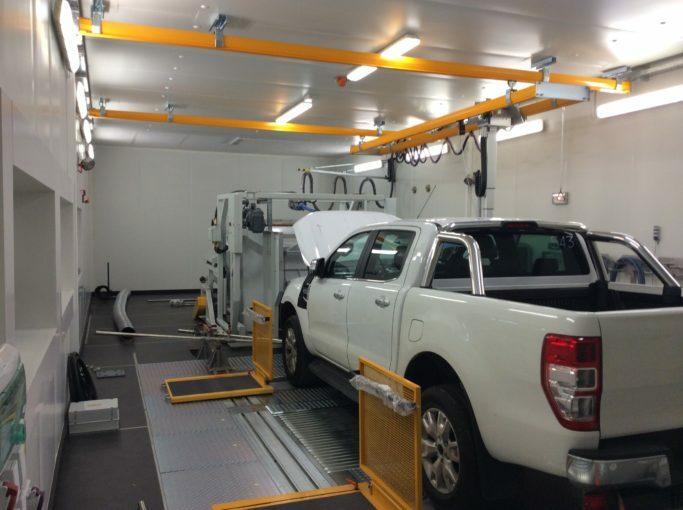 The Vehicle Emissions Research Centre (VERC) provides advanced climatic vehicle emissions testing to support the testing and development of low carbon vehicles. 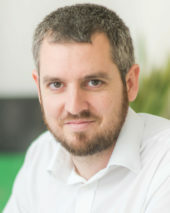 Following an initial appoint to assess development opportunities for the facility within the Shoreham Technical Centre site, DKA were appointed alongside Horiba to deliver the facility on a ‘turnkey’ basis. As well as being responsible for delivery of the construction project, DKA took on the role of overall project coordination. The facility is a flagship building for Ricardo UK with the balance between showcase and functionality being a key driver. 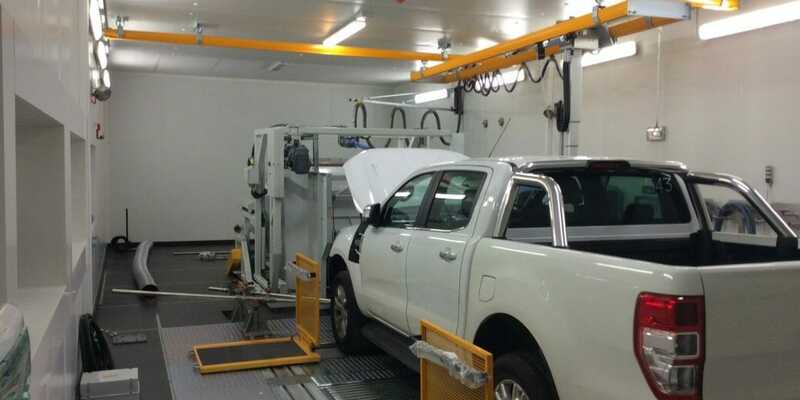 The facility incorporates climatic (-35C to +50C) Chassis Dyno test chambers with associated ambient vehicle soak spaces, emissions rooms, control rooms and workshops as well as front of house and office accommodation. The building forms part of the Ricardo site wide customer tour, but functionality was critical to the project. The building had to be carefully designed to maximise operational space on the restricted development footprint and the coordination of the process equipment into the building design and construction was critical from the outset. Working directly with Horiba from day one, DKA were able to interrogate process equipment requirements from the outset, incorporating these into the building construction and maximising efficiency. This helped to manage construction costs from the outset and maximise programme efficiency across the whole project. 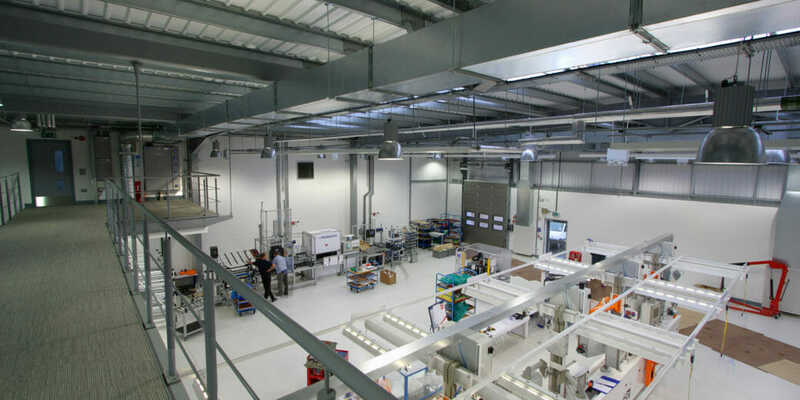 DKA were commissioned to deliver a state-of-the-art assembly facility for Ricardo UK at their Shoreham Technical Centre. 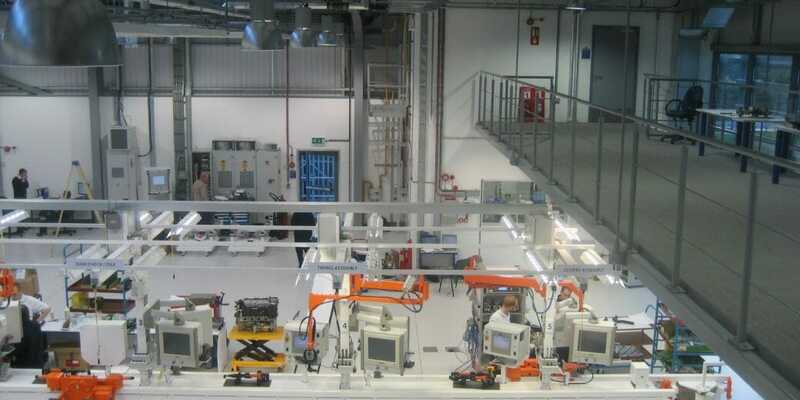 The facility was purpose built to assemble performance sports car engines and incorporates a large assembly area and test cell for production verification. All the operational areas are serviced by underground ducting and trenching which required extensive coordination with the client. In addition to the functional requirements, the facility was to be part of the client’s VIP site tour. As a result, the building not only had to facilitate the primary work function, but also had to be suitably designed and specified to be a fittingly impressive part of the client tour, realised by the incorporation of a viewing mezzanine centrally located above the assembly line. 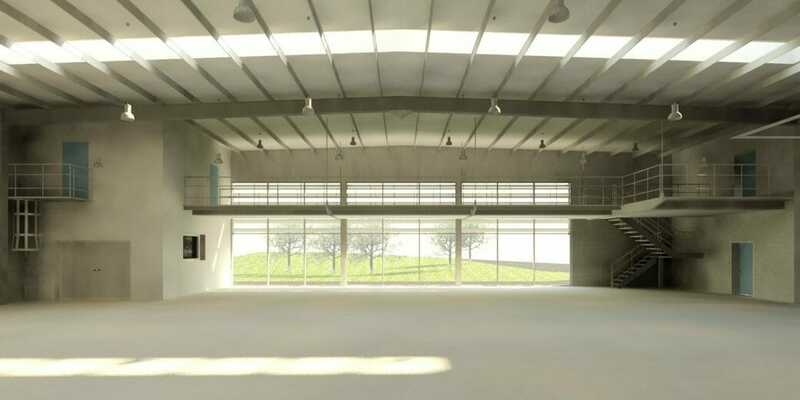 In addition to the functional and aesthetic requirements the building had to be procured on a tight budget and operational within a short time period and had to be designed to accommodate a future extension. The extension was designed and constructed approximately 18 months after completion of the original building and trebled the total size of the facility. 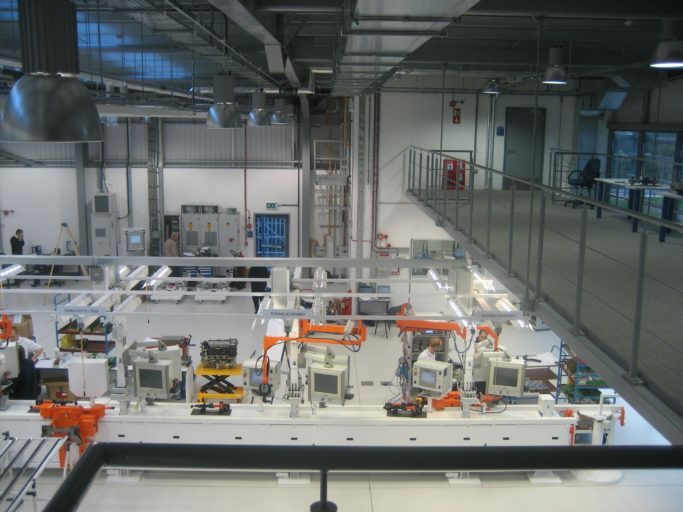 The extension provided an extensive parts storage and distribution facility along with an additional test cell and labs, workshops and staff welfare facilities. The extension had to be constructed whilst the existing facility remained operational and this was realised by access and egress points designed into the existing building. All works were completed without impacting the ongoing operations and the overall facility now produces a sufficiently greater number of units off the same assembly line.